ContentPing—which has generally great coverage about product content as it pertains to online marketing—recently interviewed me about the collaborative approach to product information we're taking here at Salsify. Here's a quick excerpt, and you can read the whole interview at ContentPing. Content Ping: What are the specific problems with how content is managed? Rob Gonzalez: The biggest one is simply staging customized versions of your product content for different audiences. You need SEO-optimized content for your own e-commerce site, and you need consistent product attribute data for search and navigation. However, you also need different versions of product content for downstream channels, like Amazon or other distributors. Your site might need a 2,000-character product description, but eBay limits you to 1,000. Your site might use PNGs but some distributor only deals with JPGs. There are a million one-offs like this that happen. So while you'd like a single place to manage all product content, you still need to be able to easily customize it for every usage. 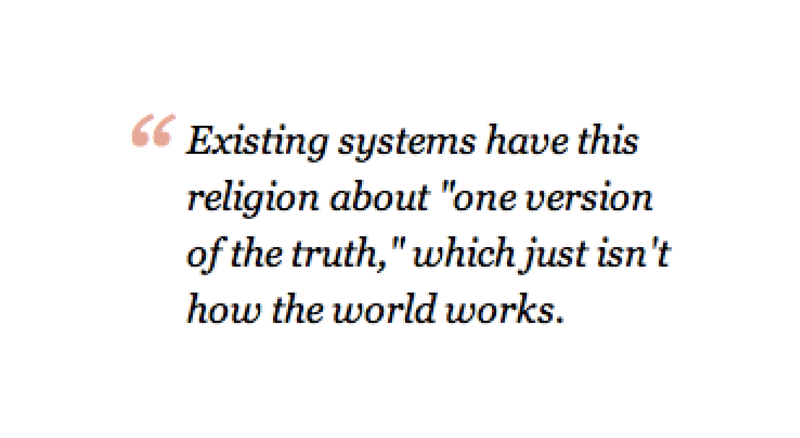 Existing systems have this religion about "one version of the truth," which just isn't how the world works. Right now most manufacturers are just passing Excel spreadsheets all over the place. They'll have 3,000 or 4,000 products and they're keeping track of all the product data using a different spreadsheet for every single use case or channel. They might have an ERP [enterprise resource planning] system or centralized PIM [product information management] or bespoke database, but almost no one actually has all data in just one place. There's some product data—typically that written by marketing—that exists in a spreadsheet somewhere, and other product data in back end systems managed by IT, and then maybe a shared folder with all the product images, and no place where you can get everything. Once again, check out the full interview at ContentPing.